Hey, Listen! Navi may skip ray tracing for the initial release, focusing instead on boost performance for the midrange sector. Deals If you can't spend $200 on an RX 580, this is the next-best thing. News The hurt keeps coming. News AMD enables game streaming with its latest annual update, plus other improvements. Stranger Things But outside of laptops and NUCs, you're still better off with a dedicated graphics card. 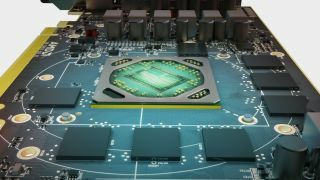 Stellar How AMD's next GPU may outperform the GTX 1080 or even the Titan X. News The Crimson ReLive update adds a whole range of new stuff. Radioactive What's in a name? News Someone got a great deal this morning. Looking for a mid-range affordable card? AMD has your back bro.